Providing you the best range of wet scrubber with effective & timely delivery. We are remarkable entity, engaged in offering high quality Wet Scrubber that are used for removal of noxious and corrosive contaminants. The offered scrubbers are manufactured by our experienced professionals from superior quality components and cutting edge technology in compliance with industry standards. 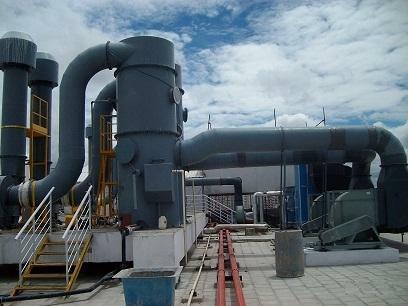 So as to maintain their quality, these scrubbers are examined on varied parameters. Moreover, these scrubbers are highly appreciated by the clients for their different features. The material of construction is Mild Steel MS / FRP / SS depending on the application.